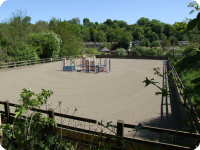 Established in 1996 as a small family-run Horse Riding School and Livery Yard, we have built a reputation for both the excellent quality of our teaching and the friendly, relaxing and fun environment in which we operate. 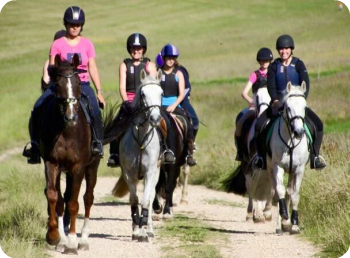 We are fully approved by the British Horse Society (BHS) and our Riding School can cater for all abilities and ages, from complete beginners who want to learn to ride for the first time, up to affiliated competition level. Our instructors and staff are trained to the very highest standards, led by managing partner Melissa Garry, a fully qualified BHS Instructor (BHSI) and successful Show Jumper, with over 23 years experience. With a flexible and professional approach, we will always do our best to meet your requirements. Whether it's just a leisurely Hack in the countryside, or your passion extends into Dressage or Show Jumping, we can help you achieve your goal. Situated in Tatsfield, on the border of Kent & Surrey, we are very close to Biggin Hill, Westerham, Oxted, Beckenham and Bromley and just 10 minutes from M25 J6. As Mayfield has evolved, we have expanded our core activities and we are proud to have hosted a range of successful Events, including Birthday Parties, Pony Days, Shows and Team Building Days. Mayfield Gift Vouchers are also available for special occasions. We are a registered BHS Riding & Road Safety Centre and we regularly host a range of BHS Training Courses and examinations. Thank you for visiting. We hope to welcome you at Mayfield very soon! Still here? Maybe upgrade browser?